The right recruiter can put you in front of dream job opportunities. This is especially the case for higher-level positions because there are employers who will not publicly publicize a job opening, but solely rely on recruiters to source the right talent. Your Headline on LinkedIn is essentially the descriptive line that comes with your profile (before people click on it). By default, it will list your name and current job title. Recruiters depend on this piece of information to decide whether or not to look into your profile. What you can do: Tell the recruiter what you have to offer in a few words. A job title is okay, but it has to inform the recruiter of the specific industry as well. For example, Account Manager doesn’t say a lot, but Healthcare PR Account Manager says a lot more. Your LinkedIn Profile Summary is very much like the Profile Summary for your resume. It needs to succinctly inform the reader what you bring to the table. What you can do: Include information on your specialty as well as your core skills and accomplishments. Applying keywords and phrases that are relevant to the job will also help increase the chance of your profile showing up in recruiter’s search results. Recruiters want to know you can do the job and do it well. Detail what you’ve accomplished and how you’ve used skills to achieve success and results. Recruiters look at Connections for a combination of quality and relevance. Quantity is less of a factor (but you do want to have at least 50 quality contacts) because if you have 500+ connections, but 95% of the contacts aren’t related to the field or industry for the job, it doesn’t offer much value. Recommendations on LinkedIn are like doing a pre-check of your references. Recruiters want to see that you have other professionals in the field or industry vouching for your experiences, skills, and capabilities. The best recommendations to have are ones that come from your supervisor, clients, and senior colleagues. What you can do: Depending on the type of relationship you have with your contact, ask if they wouldn’t mind writing a recommendation on your LinkedIn profile. You can assist in the matter by reminding them of an experience that can serve as a focal point for the recommendation. Also, when you write a nice recommendation for others, they will usually reciprocate in the act, or be willing to do it if asked. A profile picture with your LinkedIn account increases the chance it gets clicked. It informs others that your profile is likely complete. What you can do: Include a profile picture that allows the recruiter to envision you in the position you’re applying for. For example, if you’re looking for a job at an investment firm, have a headshot with a suit on, not a jersey shirt. 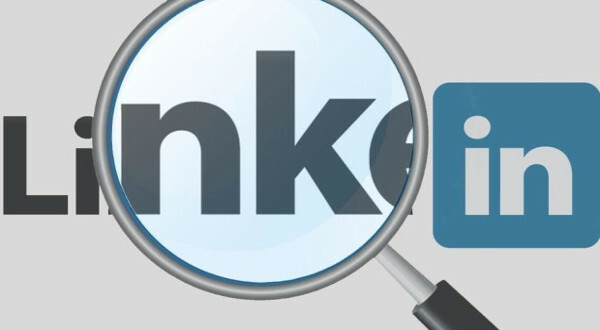 Get your LinkedIn profile in tip-top shape with these tips if you want to hit job opportunities that only recruiters may have access to.